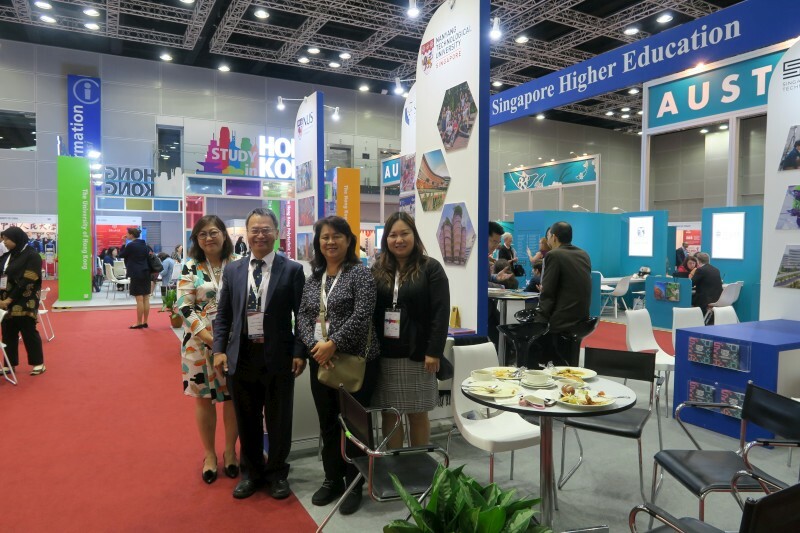 Professor Liang-Yo Yang, Dean of CMU Office of Global Affairs, participated in the 2019 Asia-Pacific Association for International Education (APAIE) on behalf of China Medical University. During the association, Dean Yang visited the sister schools of CMU and discussed about the bilateral cooperation with the representatives from National University of Singapore (NUS) and Nanyang Technological University (NTU). The cooperation will surely enhance the competitiveness of CMU in the international higher education market. 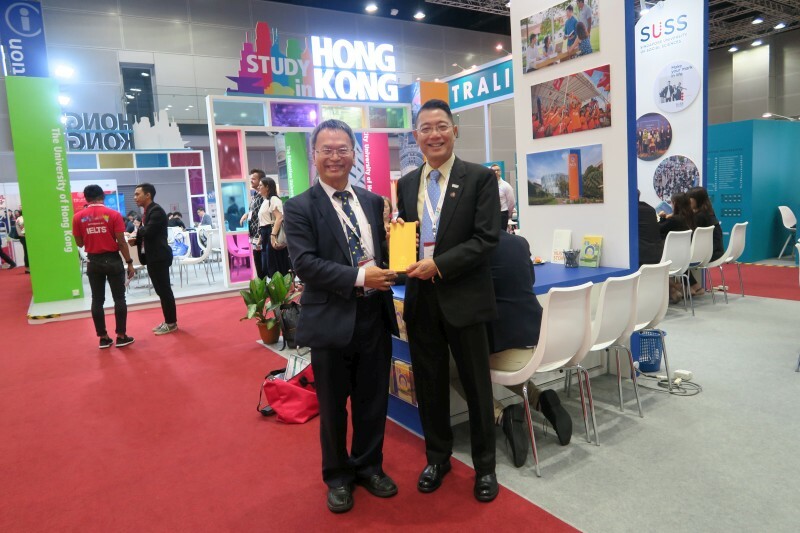 The 2019 APAIE was held in Kuala Lumpur, Malaysia for 5 days starting from March 25, 2019, with more than 2,500 scholars from over 50 countries. Facing the trend of rapid globalization of higher education, representatives from more than 30 top universities in Taiwan attended APAIE. The booth “Study in Taiwan” attracted many scholars around the world that were interested in establishing future cooperation. Dean Yang and the associate vice president of NUS, Victor P. W. Shim, discussed about how NUS and CMU should strengthen the cooperation in the field of cancer, aging, neuroscience, and medical services. In addition, Dean Yang will be arranging a group of CMU professors and researchers to visit NUS and give lectures in the near future. The two schools wish to talk about research cooperation, short-term research program, and elaborate on the details of the 3rd CMU-NUS joint symposium. On the other hand, Dean Yang visited director Mei Eng Chong and associate director Pauline Ho of NTU Global Education and Mobility, and director Jenny Hallen Hedberg of NTU Office of International Affairs. The discussion with NTU included that this year CMU will select a number of students to take summer courses in NTU, and CMU will form a research team to visit NTU school of Medicine and the 3D printing center to strengthen the cooperation in the field of integrated medicine, artificial intelligence, and 3D printing.